The Student Council hosted the first Academy Spirit Week. 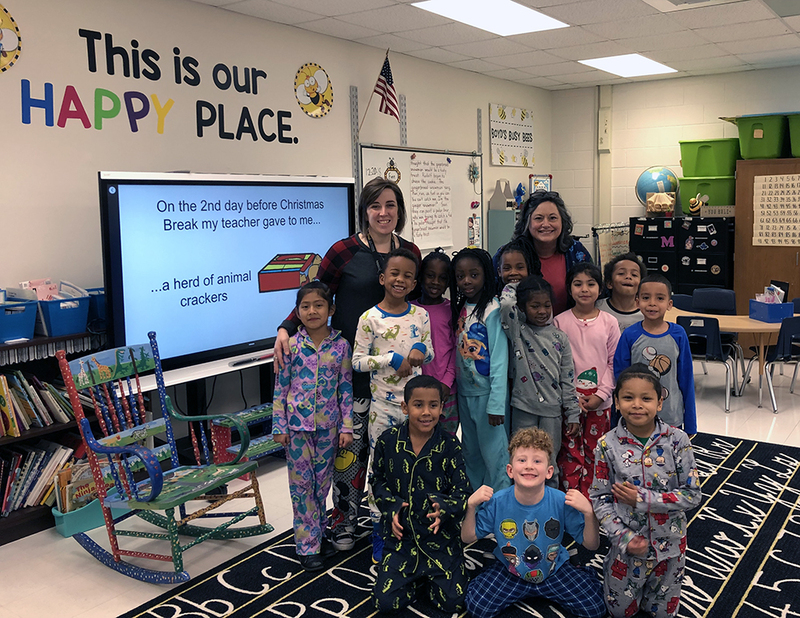 Students and staff were encouraged to participate in Wacky Sock Day (pictured in thumbnail), PJ Day and even Mustache Day! Students also spent time reading with their buddies in different grade levels - they shared their own written work and some of their favorite children’s books. 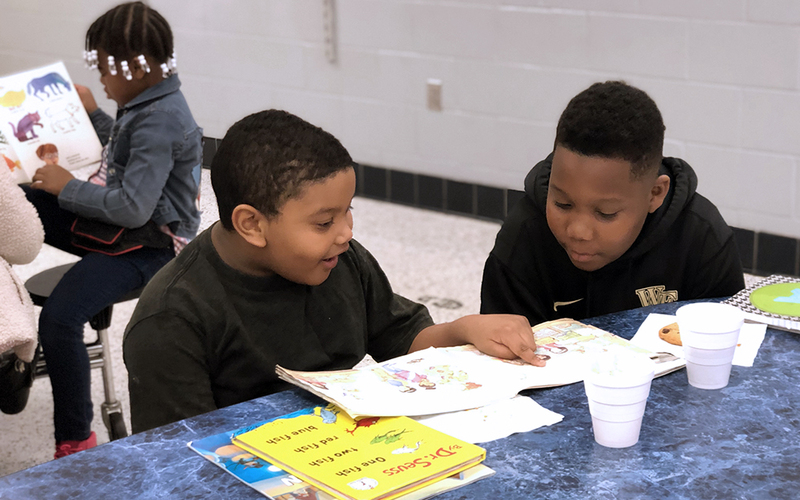 As they read together, the students enjoyed chocolate chip cookies and hot chocolate. Our Student Council also hosted their first fundraiser, Photos with Frosty! 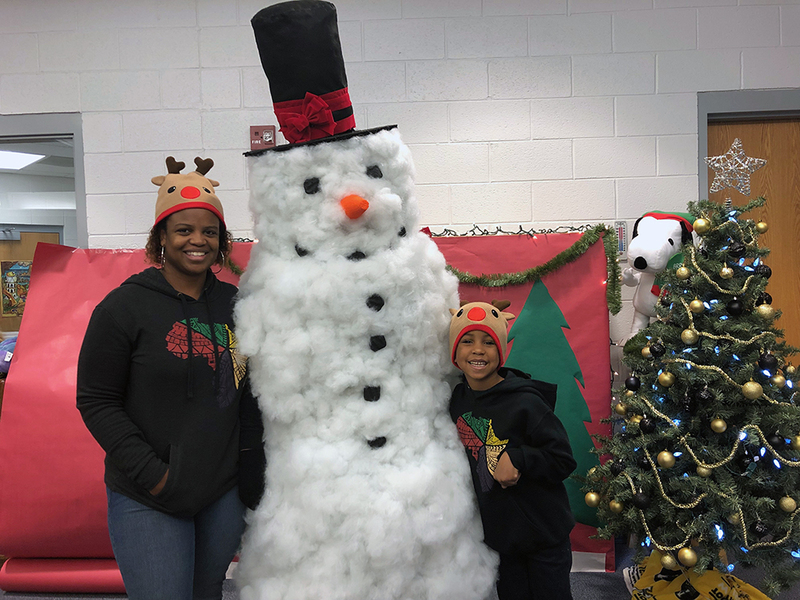 Our amazing Physical Education teacher, Robin Phelps, designed the costume and then dressed up as Frosty for our pictures. Students paid $1 to take their picture with Frosty and now our Student Council has started to save funds to help purchase new recess and playground equipment. 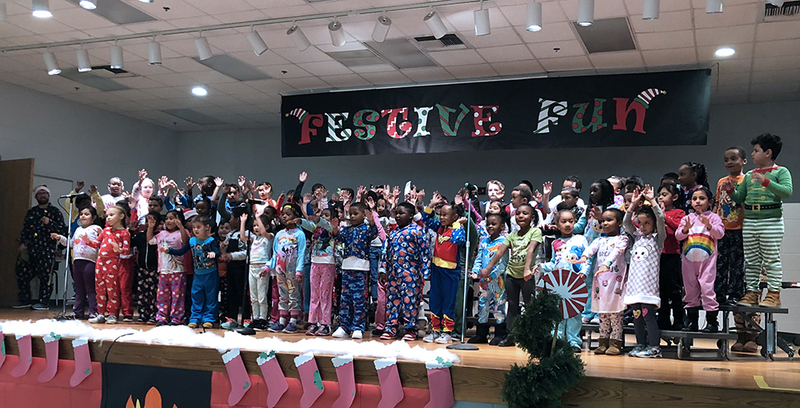 On Thursday, December 20, our incredible music teacher, April Whitfield, and our students presented the first annual Academy Festive Fun Concert. The show was a ton of fun and it was evident that Ms. Whitfield and our students had spent a great deal of time preparing. Fifth graders played their recorders and everyone sang holiday and winter songs. It was the perfect way to kick off Winter Break as the Academy family. As we head into 2019, the Academy family is looking forward to many upcoming events: Math Week, Black History Month, and Young Authors’ week. 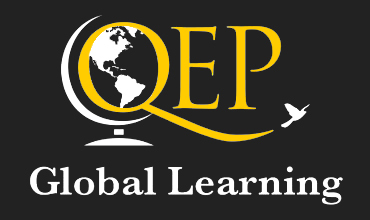 As a school, we are committed to providing experiences to our students that encourage deep engagement in our curriculum. Our students enjoy being at school and our staff is dedicated to supporting them as they grow as scholars and citizens.